The Academy was an educational institution established in 387 BC by Plato. Plato used the Academy to spread his teachings and those of his teacher, Socrates, on philosophy and the nature of many other aspects of life, notably with a focus on always asking questions. 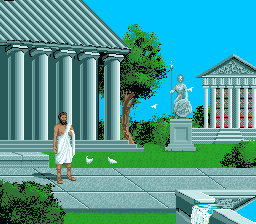 In Mario's Time Machine, Mario visits the Academy in 369 BC after traveling back in time to return a copy of Plato's writings, the Republic, to him. Plato can be found in the Academy; once Mario knows that it's him, he can return his writings and Plato thanks him, encouraging him to spread the Academy's teachings. 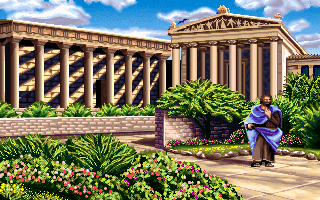 The game claims that the Academy stood for over 900 years, but in reality, it was destroyed in the first century BC, and was later rebuilt in the fifth century AD (only to be closed about a hundred years later). This page was last edited on August 12, 2018, at 22:54.